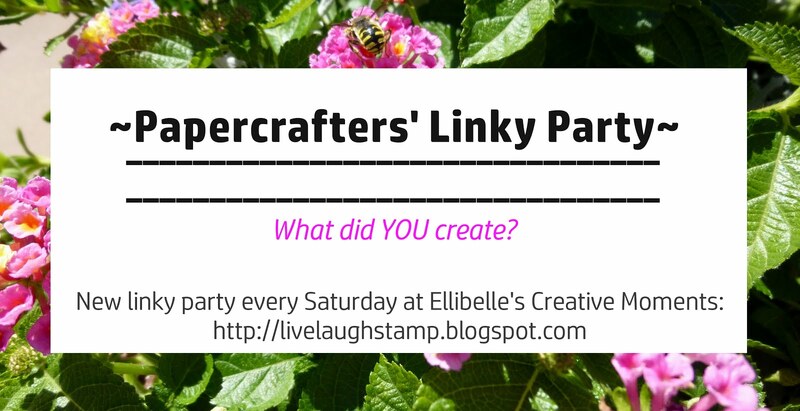 Ellibelle's Corner: Whimsy Stamps - May Rubber Stamp and Die Release Day!! 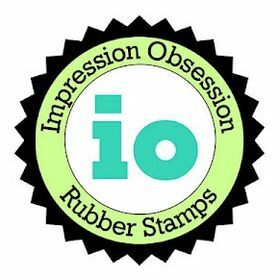 Whimsy Stamps - May Rubber Stamp and Die Release Day!! Hello and welcome to the Whimsy Stamps Rubber Stamp and Die May RELEASE DAY hop. 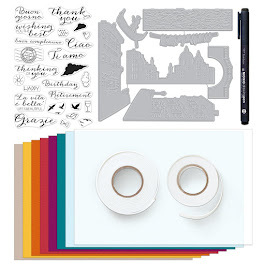 Today Whimsy Stamps released several gorgeous new stamps, stamp sets and dies, plus designer paper packs. 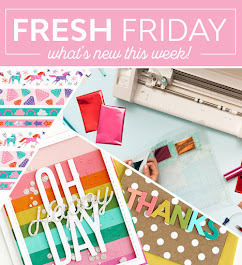 We are holding a blog hop each day this week, sharing creations made with these new goodies. As you know there are also several prizes to give away throughout the week, so be sure to hop along and leave comments along the way. 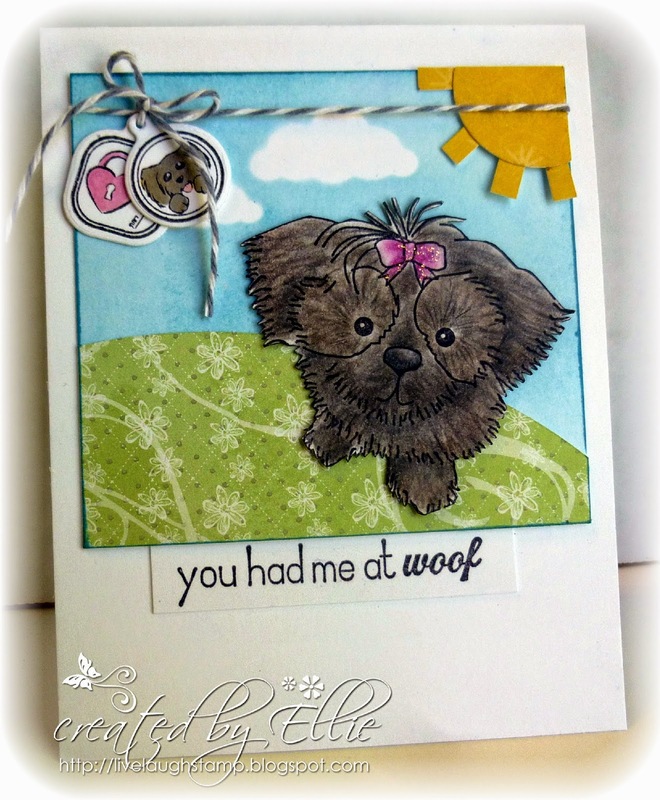 Today I am sharing a card made with the cute stamp set "Cupcake and Toys" from Whimsy's Cierra and Friends collection. Isn't this puppy just adorable!! I used my Faber Castell Polychromos pencils for coloring, and I fussy cut the image. I created the background scene by masking the clouds and applying distress ink for the sky. The "grass" was cut using an oval cutting shape and paper from my stash. The sun was done by punching yellow circle and cutting some paper strips for the sun rays. I just love the sentiment "You had me at woof". So cute! It is part of the stamp set Cupcake and toys. The little tags that I used with the twine are from the clear photopolymer set "Simple Buttons". I used the matching tiny tags dies to cut out the "simple buttons" I used, then tied them onto the card using twine. 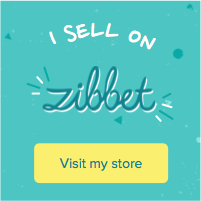 If you'd like to hop along with us today simply click the links below. Don't forget to comment along the way to be entered into a prize draw. We are giving away a total of 4 prizes (of 2 stamps each) during release week. Day and prize locations are secret. The winners will then be announced on Monday on the Whimsy Stamps Inspirations blog. Happy hopping and remember the entire release is now available for purchase in the Whimsy Stamps shop. Adorable. Love the paper you have used for the grass and the tags you have added. Awww, this is so darling cute! OMG this is sooooo very Adorable!!! love it all!! Too darn cute and just love how you've created the scene. Very cute card, Ellie! Love the scene you created for the darling puppy! Great coloring and details! Such a cute image and so much detail in the card. Cute, cute, cute! I love this little puppy! Awesome colouring too! Lovely card, So cute beautifully done. OMG Ellie!! You have created an awesome card as usual!! The coloring on the dog is so realistic & fantastic!! I think coloring animals is always hard but you rocked it!! oh my goodness...what a sweetie! aawwwhh! How cute. The puppy is just adorable. Love your masked clouds and patterned paper grass too. Ohh very cute card. Absolutely gorgeous. Your card is so adorable Ellie!! What a cute doggie. I love your card. Awww what a cutie! I love the sweet little scene you created, and that sentiment is perfect!